The Amalfi Coast is the stretch of coast, located south of the Sorrento Peninsula, overlooking the Gulf of Salerno and it is bordered to the west and east from Positano from Vietri sul Mare. It is a stretch of coastline famous around the world for its natural beauty, home to major tourist sites. It takes its name from the town of Amalfi, the central nucleus of the Coast, not only geographically but also historically. The Amalfi Coast is known for its heterogeneity: each of the countries of the Coast has its own character and its traditions. 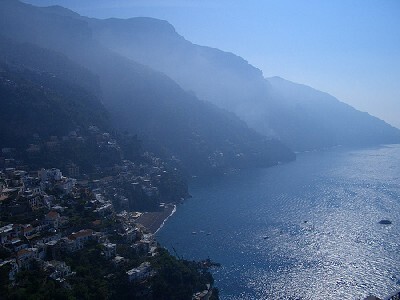 The Amalfi Coast is with no doubt one of the most fascinating, loved and famous coast in Italy. It has always attracted tourists from all over the world to admire its extraordinary beauty. The enchanting pearls set in the bay are all different but of equal beauty: Amalfi, Positano, Vietri, Maiori, Minori, Ravello, Praiano and many others. The discovery of the Amalfi Coast as a tourist destination dates back to the late ‘800, when the wake of the suggestions described by artists and poets became a international phenomenon. To savour the wonders of the coast it is sufficient to be guided by instinct. The scenarios are so evocative that the charms of small towns are easily accessible. 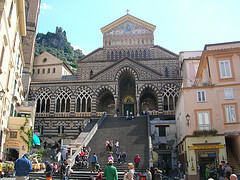 The Amalfi Coast is a world cultural heritage belonging to UNESCO. 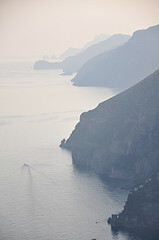 The Amalfi coast has been inhabited since prehistoric times. The Coast had its maximum splendour in the era of ancient Rome where the Roman patricians decide to establish their residence in various locations, so a lot of villas are scattered all along the coast. After the Roman Empire a second period of historical importance was when Amalfi became one of the Maritime Republic with Pisa, Genoa and Venice. This history has become a tradition still visible in the famous regattas, a folk historical event celebrated throughout the world. The Divine Coast is one of the most sought after by people all over the world, just to mention Positano, Amalfi, Ravello, sites of superb scenic beauty as well as treasure chests filled with history.